CLOG will be hosting a launch event at Gallery RIVAA on Roosevelt Island on March 23rd at 3pm. To celebrate the launch of CLOG's newest issue, join the editors on Roosevelt Island on March 23rd. At 2pm, CLOG will take part in the opening ceremony of the new Motorgate Gallery at 688 Main Street, after which we will walk south to Gallery RIVAA at 527 Main Street for a launch party at 3pm. CLOG and guest editor Michael Abrahamson will present the Brutalism issue, and photos by Iwan Baan, Andrew Kenney and Brett Beyer will be displayed. A defining architectural style of the postwar era—characterized by severe, abstract geometries and the use of cast concrete, block and brick—Brutalism arguably produced some of the world’s least popular public buildings. 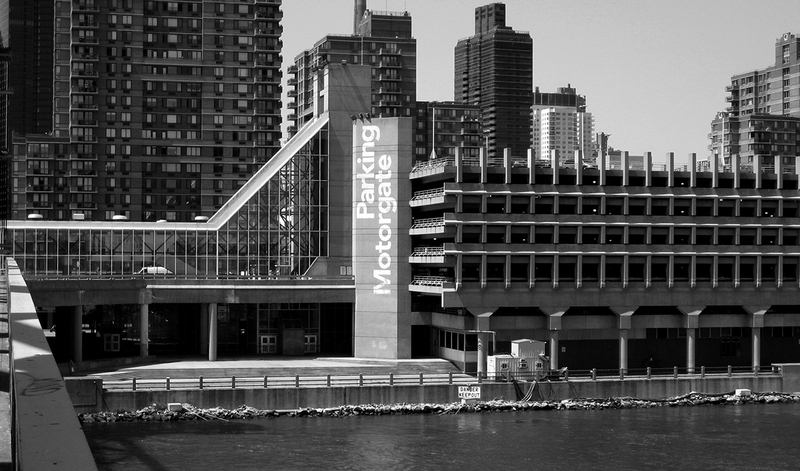 The style’s international propagation brought modern architecture to ever-larger constituencies, and some argue that the perceived shortcomings of these Brutalist structures led to the demise of the Modernist project. While today often admired by architects, many Brutalist projects are now threatened with demolition. CLOG : BRUTALISM explores the continued influence of Brutalism and the legacy of its ethic and aesthetic. Highlights include new examinations of one of Brutalism’s most seminal texts, Reyner Banham’s The New Brutalism; the global reach of Brutalism and its vernacular forms; efforts of preserving and upgrading Brutalist landmarks; and arguments against restoration. Buy CLOG : BRUTALISM here.